New Orleans is a mixture of different cultures, sensation and vibes, and it is cool that a few of Louisiana’s native sons have formed a band that is producing diverse music that any Crescent City native would be proud to call their own. That band is Big Al & the Heavyweights, which had its genesis in 1992 as the Unknown Blues band with founding members Warren Haynes and Al Lauro. After Dickey Betts tapped Warren on the shoulder with an invitation to be in the Allman Brothers (how could one resist?) 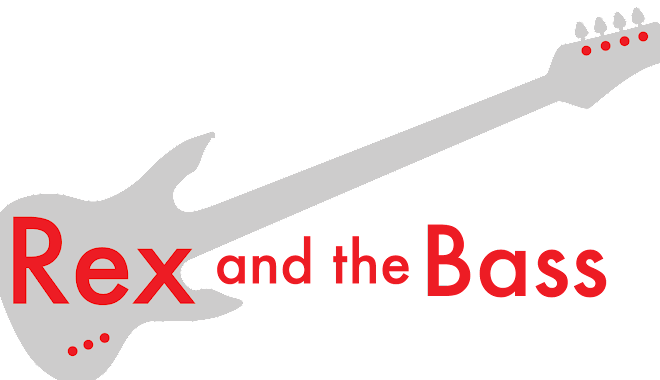 Al pushed on and changed the band’s name to its current moniker. They have earned a stout fan base by sticking to a solid game plan: making good music and getting out there to prove themselves to live audiences. The band has cut six well-done albums and is on the road more often than not, playing regularly around the Gulf States with occasional forays into the Midwest and points beyond, including the Chicago House of Blues. It does not hurt that they have staunch celebrity advocates (Dan Ackroyd and Emeril Lagasse) who are in their corner and are who do a stand-up job of getting their music out to the masses. 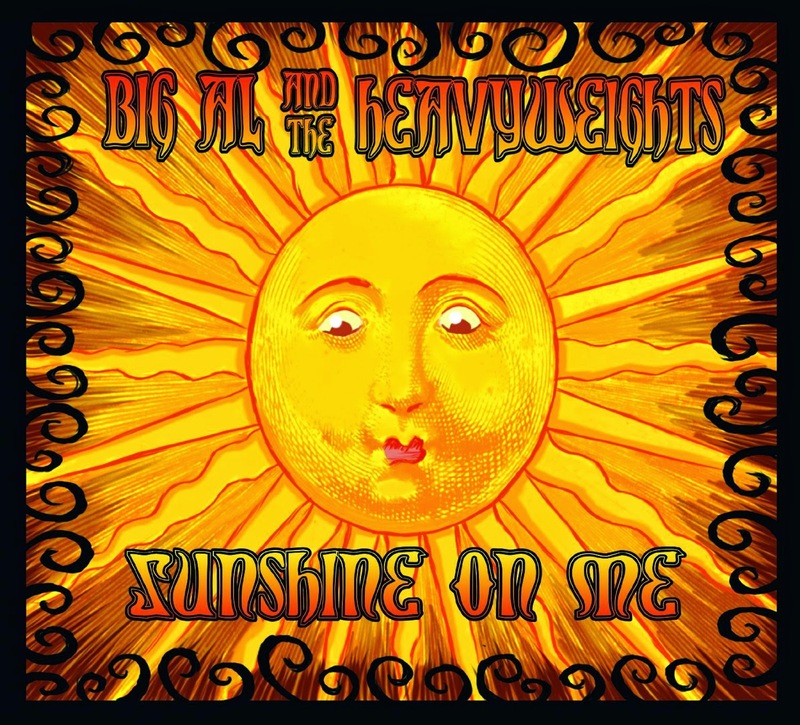 The Heavyweight lineup for Sunshine On Me includes New Orleans native Al on vocals and drums, bassist Dean Galatas from Bayou Liberty and two guys from Baton Rouge: Harmonica Red on the harp and James Bass on vocals and lead guitars. 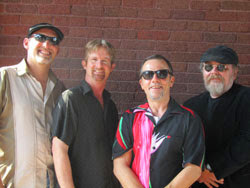 John “The Colonel” Fuhrman plays the harmonica and provides background vocals and Wayne Lohr plays the B3 and accordion as well as handling the lead vocals on a few of the tracks. This is an impressive line-up, and their talent is outshined by their ability to bring out the best in each other. This most recent release includes eleven tracks, and you will find that their recordings have become more eclectic over the years, integrating element of blues, rock, jazz and Zydeco. The band has arrived at a place where they have their own sound, and it is a marvelous thing to behold. This is evident from the first track, “Don’t You Want Me,” which is hard to categorize in only one genre. It has an obvious blues foundation, but the hand percussion gives it a Cajun / roots music feel, and the break at the end of each verse is a real kick. “What’s Up With That” has a more traditional blues feel, with a driving bass line and some nice work from James Bass on the sax and vocals. His voice is versatile, sounding very different from the opening track. You will find that their songwriting is mature, with this song constructed well to sync with the clever lyrics. In the title track you will hear the heavy sounds of producer Anders Osborne’s electric guitar and the familiar tone of guest artist Warren Haynes’ slide guitar. This southern rock feel is seasoned with a tasty bit of Wurlitzer piano from Wayne Lohr. He takes over the vocal chores on “Money Matters,” a slow low-down blues song with wonderful harp playing from Fuhrman. Lohr also whips up his accordion for “Dance With Me,” a short Louisiana-fueled dancehall tune. The Heavyweights pull out the stops with two down home Zydeco songs: “Pass a Good Time” and “Zydeco Boogie.” The combination of squeeze box, fiddle and washboard on these tunes provide a fun contrast with the road house and blues elements found throughout the rest of Sunshine On Me. Osborne did a fabulous job of producing this album and integrating all of these different styles, and all of the tracks play perfectly due to the engineering work of George Cureau and mastering by Parker Dinkins. My favorite track on this disc is “Midnight Train to Memphis,” a blues rocker with some fine bass playing from Dean “The Bass Machine” Galatas. He does an admirable job of doubling Bass’ guitar work as Lohr belts out the throaty vocals while working the Hammond organ. The Colonel brings everything together on this one with his groovy harmonica stylings. 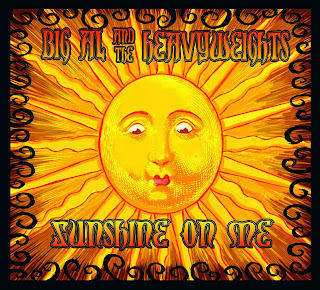 Big Al & the Heavyweights have come a long way since their first album, and Sunshine On Me is a just reward for two decades of hard work. It is a great listen and you should check it out for yourself. Also, make sure that you look through their website to see when they will be in town next so you can catch their live performance. With over a hundred shows per year the chances are good they will be near you at some point. I will surely be keeping an eye out for them during my travels!